For many companies, NetSuite is the core of their financial management system, and protecting against fraud, misstatements, and errors is a critical component of running NetSuite. Sometimes though, it’s hard to know where to start. This is a book about NetSuite security written to help users, administrators, and auditors better understand how to plan, implement, and audit NetSuite security. 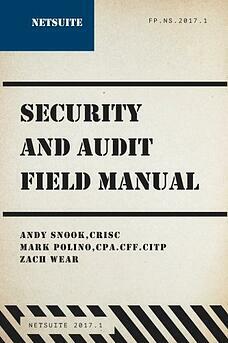 Security books tend to be heavy on theory or application, rarely including both. The NetSuite Security and Auditing Field Manual is designed to help users understand sound control principles and how to apply them in NetSuite.